Mkhitaryan injury news: Will Mkhitaryan start against Man Utd? 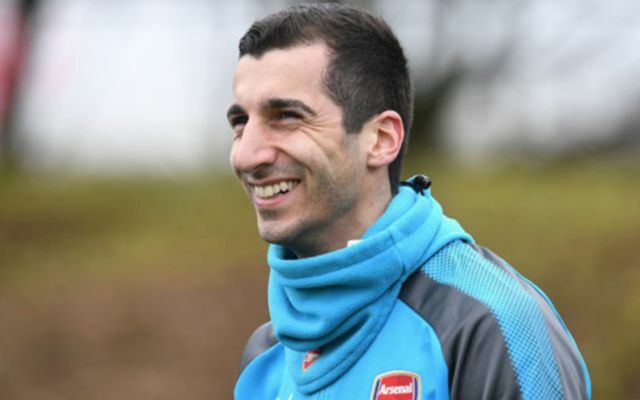 Henrikh Mkhitaryan injury news update: Will Mkhitaryan start against Man Utd? Arsene Wenger has provided an update regarding Henrikh Mkhitaryan’s injury ahead of Sunday’s trip to Old Trafford and there was positive news. The Armenian international has been sidelined since the 4-1 win over CSKA Moscow earlier this month, having damaged knee ligaments in a challenge. He was initially feared to be out for a longer spell – however he has now recovered in time to face his old club and could feature for Arsenal next week against Atletico Madrid. This would provide the Gunners a timely boost given he has contributed with four goals and 12 assists in 34 appearances this season for both Manchester Utd and Arsenal. Will Mkhitaryan start against Man Utd? Speaking ahead of Sunday’s game, Wenger said, “We have no new problems. Mkhitaryan is available. Elneny is out, Cazorla too of course. The Armenian has settled into life at the Emirates and has scored two goals and provided five assists too. He has sparkled for the Gunners in the Europa League where his contribution has been significant. The Gunners will need him and their key men, Alexandre Lacazette and Mesut Ozil, to be on top form if they want to get through Atleti’s steely defence and Jan Oblak, who displayed yesterday why he is one of Europe’s most coveted ‘keepers.